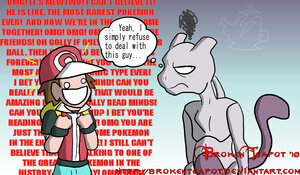 Why Mewtwo Isn't in Brawl. And that, my dear friends, is why Mewtwo isn't in SSBB. Wallpaper and background images in the Super Smash Bros. Brawl club tagged: pokemon trainer mewtwo.